Every Picture Tells a Story is a long overdue celebration of the talented filmmaker James Scott. All the films included have been newly remastered. 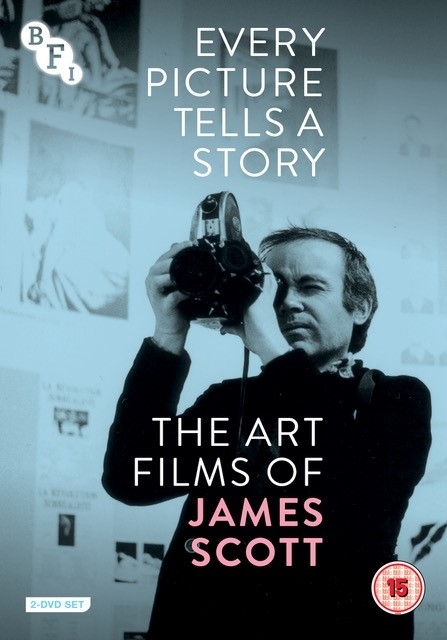 The son of artists William and Mary Scott, James Scott's filmmaking career began while a student at the Slade School of Fine Art in London in the 1960s. After his acclaimed debut The Rocking Horse, Scott became known for his early experimental art documentaries on key 1960s figures such as David Hockney and Richard Hamilton, and later worked with the radical Berwick Street Collective.He won an Academy Award for his film A Shocking Accident (1983), a romantic comedy based on the short story by Graham Greene. His 1984 feature Every Picture Tells a Story is an evocative and exploratory portrait of his famous father's early life and his entry into the art world. It features interviews with his father alongside actors including the young Natasha Richardson.